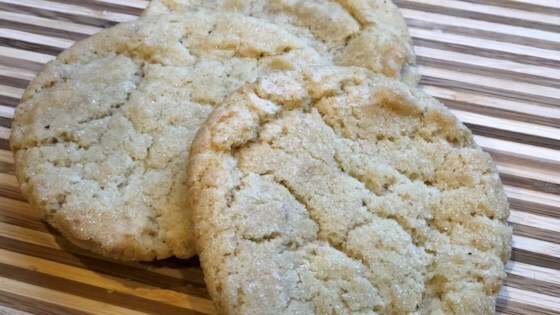 "These delicious vegan sugar cookies are so easy to make; they keep their shape when baked and are perfect for decorating Christmas cookies!" I made these and they were delicious, fast, and easy. They’re extra crispy too— perfect for dipping in coffee or tea. I might sprinkle sugar on them next time. A new favorite. ?? I used whole wheat pastry flour, and dough was much too dry, so I ended up adding an additional 4 Tbsp of milk. The dough rolled and cut easily, and puffed nicely when baked.